99 Sudbury may have mythical status as Toronto's famed after hours club, but these days the only music here is the alt rock infused by the fitness club that now claims its name. Under construction since its launch in early 2007, 99 Sudbury is slowly building out the space into a state of the art fitness complex. At the time of this post, there's still much work to be done. 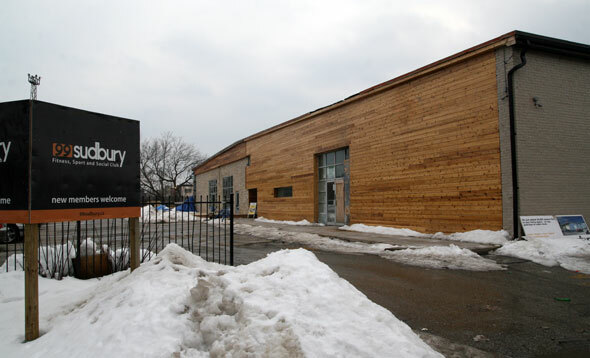 Scheduled for completion later in 2008 are four new squash courts (three singles and a North American double), yoga and fitness studios and three restaurants. Still, 99 Sudbury is in working order and growing its membership. There are three rooms featuring free weights, machines and cardio equipment; and a not-yet-completed (but functional) fitness studio home to spin, yoga and aerobic classes. Monthly rates range between $55 and $65 a month. There is no initiation fee. The current, temporary lockers and showers are a bit small and cramped. Don't expect too many frills until the new change rooms emerge from the construction phase. Towels are available and included in the membership fee. 99 Sudbury does not currently offer overnight lockers but will have laundry service at some point in the future. A fleet of spin bikes occupy one corner of the brand new, operable (but still under construction) studio which is also home to ashtanga, hatha yoga and pilates. 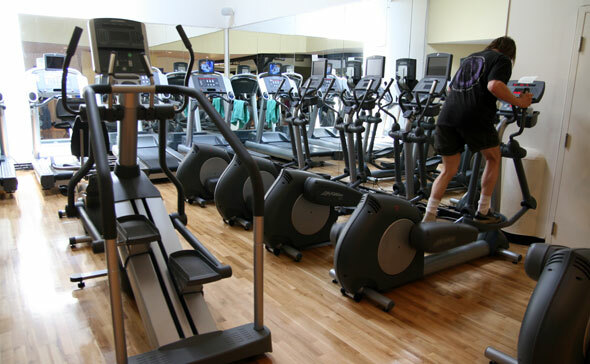 Most classes take place after work and are included in the membership. Personal training rates are $75 for a one hour session. Current offerings are limited but the plan calls for construction of three restaurants with a wide selection of healthy snacks, meals and drinks. A restaurant called Oasi will be moving into the former home of Mildred Pierce but until then nearby nourishment alternatives are left to Innergolf and Queen Street. The gym is definitely a work in progress. The construction schedule appears to be a bit of a moving target so don't expect all the new bells and whistles to fall into place imminently. One of the owners owns the building (also home to Innergolf and gQ Spa ). The other is a former squash pro and has worked in the fitness business for the last twenty years. 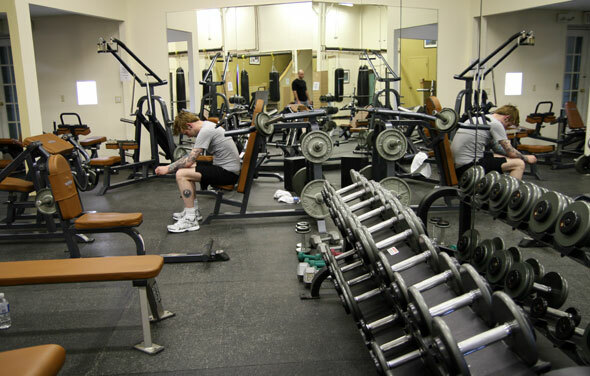 At the time of this post the gym is open Monday to Friday, 6:00am - 10pm; Saturday and Sundays from 9am - 6pm. It's always best to check the web site for the most up to date info.